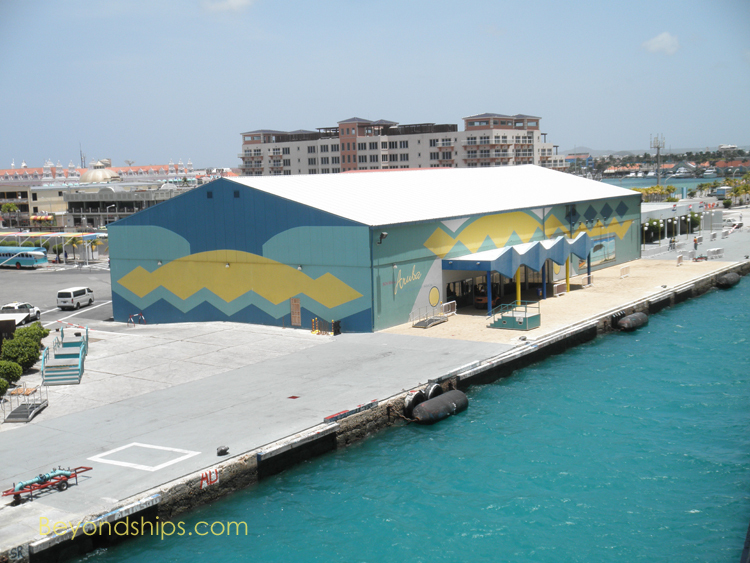 In 1955, when the first cruise ship (the Tradewinds) to call in Aruba docked in Oranjestad, it brought the town to a halt as people came to view the strange site. 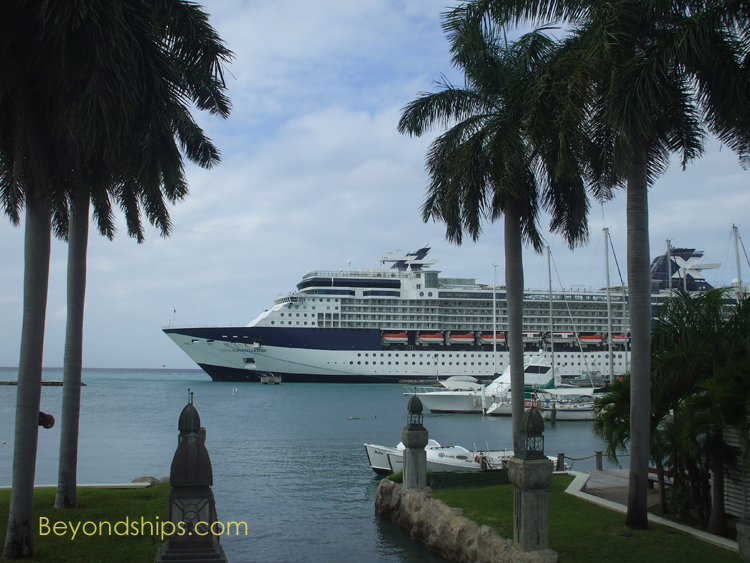 Today, cruise ships are an almost everyday sight. several large ships at a time and often does so. 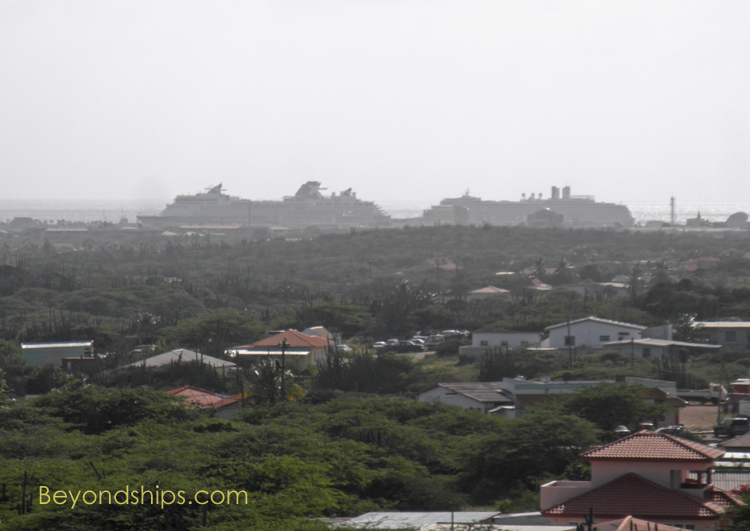 (See a separate photo feature showing cruise ships docked in Aruba). tours can also usually be found in this area. 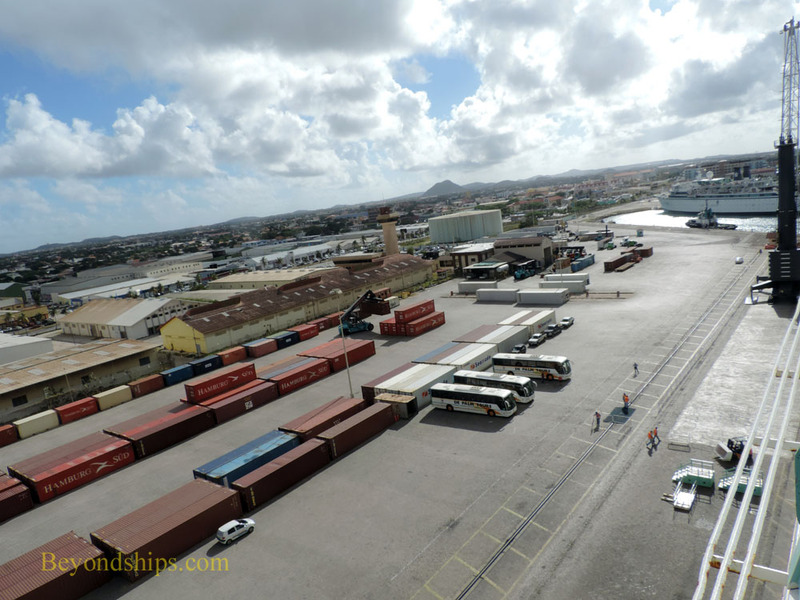 When there are too many cruise ships in port to be accommodated next to the cruise terminal, ships are docked at the adjoining cargo piers. There is usually a shuttle bus to take passengers to and from the main gate. However, many guests walk to the gate. 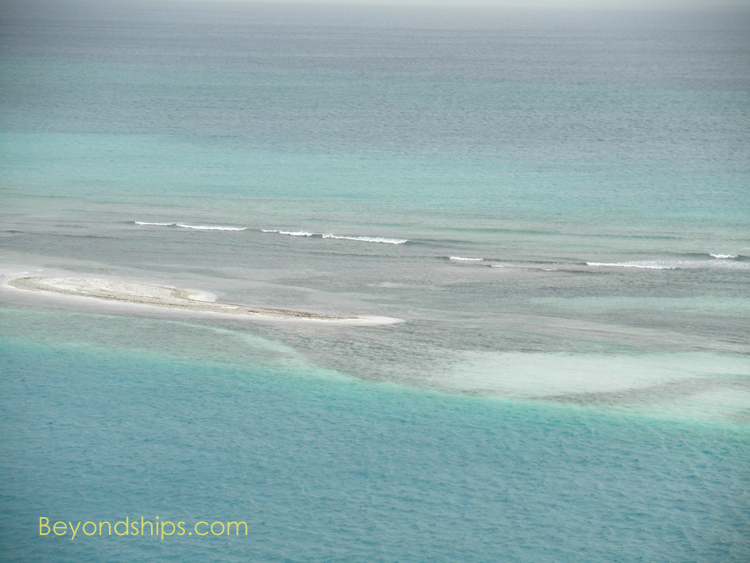 ﻿Left:﻿ A shallow sand bar lies just off of the cruise terminal. around is on foot. 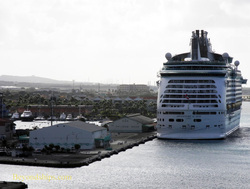 All of the shops and sights are within walking distance of the cruise terminal. Traffic in the town can get quite busy so be careful crossing the streets. operate 365 days a year from 3:30 a.m. to 12:30 a.m. There are also shared vans that drive along popular routes picking up passengers who flag them down. Such vans have a "B" in their license plate number. This service is mostly used by the locals. license plate number. Prices are fixed. 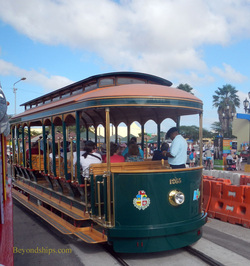 All sorts of vehicles are used for tours and shore excursions including the popular Kukoo Kunuku bus (see separate article). 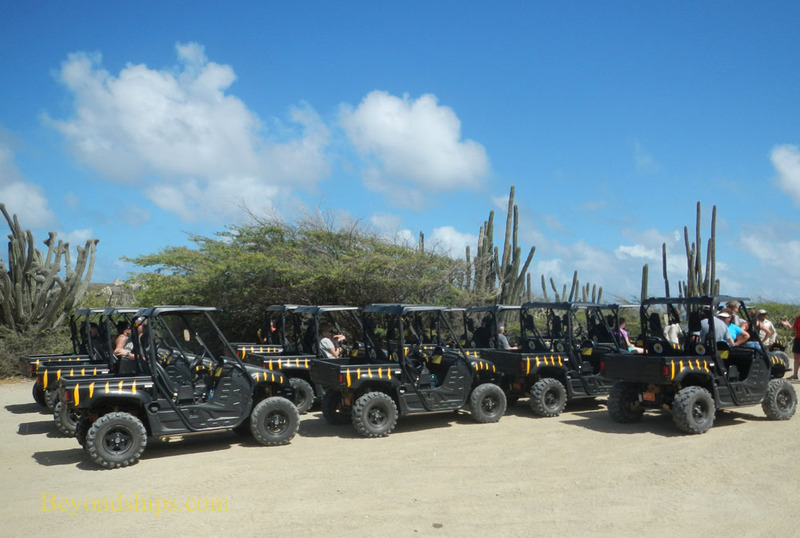 trolleys, all-terrain vehicles and safari trucks. Cars, scooters and all-terrain vehicles can be rented.